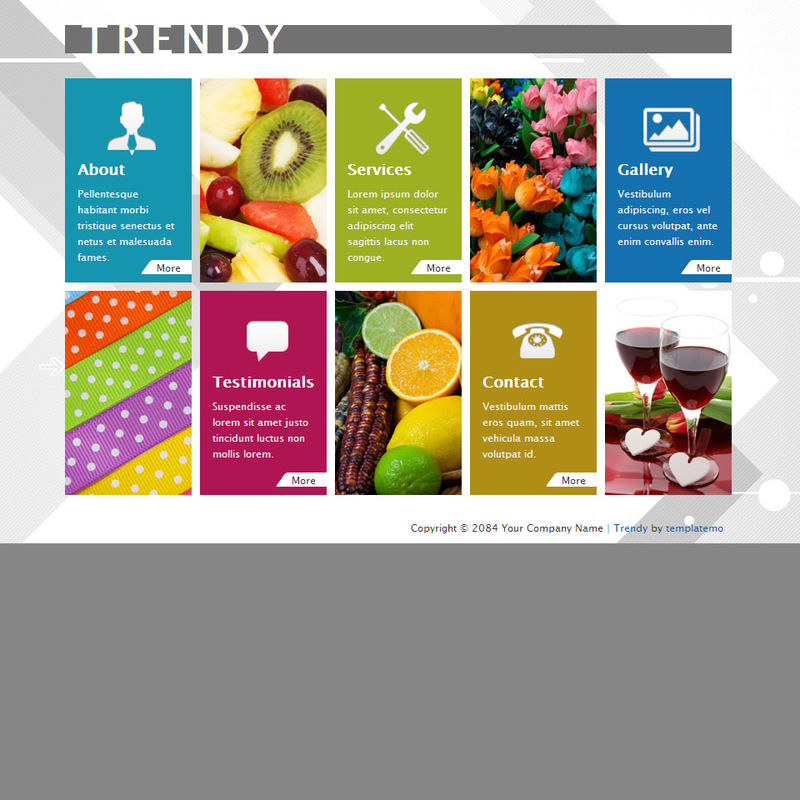 Trendy template features grid style menu and gallery. Horizontal sliding transition is applied among pages. 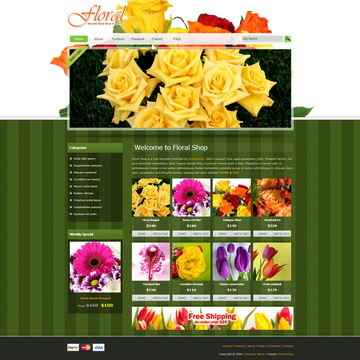 Gallery page features pop-up images. 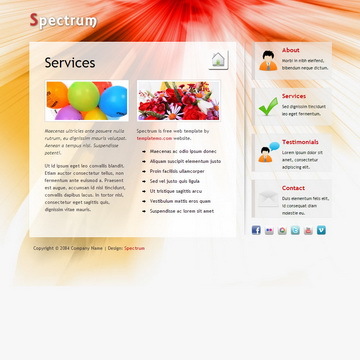 Spectrum is free web template with vertical sliding pages. Homepage features pop-up gallery images. Simple contact form is included. 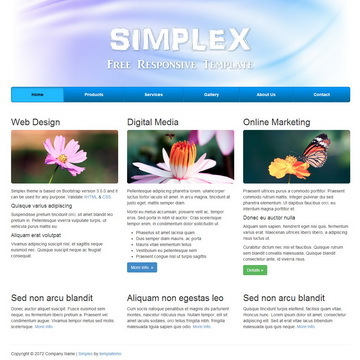 Simplex is free responsive template based on Bootstrap 3.0.0 and this layout works on both mobile and desktop devices. Trendy Template is licensed under Creative Commons. Permissions beyond the scope of this license is available here. 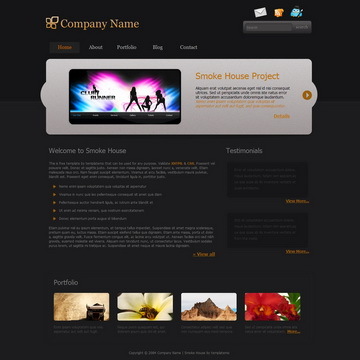 You are allowed to download, edit and use this Trendy HTML CSS layout for your commercial or non-commercial sites. Please share Trendy Template to your friends. Thank you.